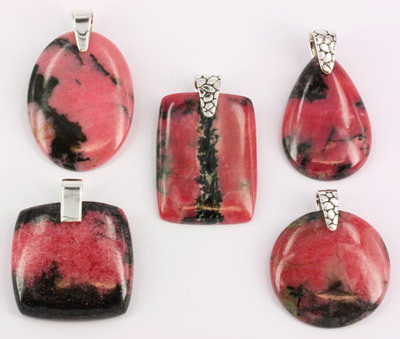 Rhodonite and Sterling Silver Pendants. Wholesale. Buy Australian Gemstone Jewellery Directly from Supplier. 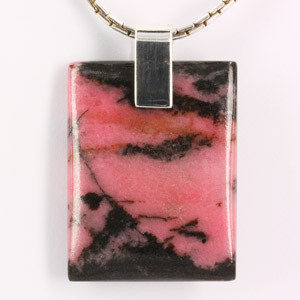 Rhodonite is a manganese silicate. The name comes from the Greek word: "rhodon" meaning "rose". It is pinkish red in colour and usually has black dendritic inclusions of manganese oxide. Deposits of this stunning gemstone are found near Tamworth in New South Wales, Australia.